When I first went to China in late 1982 there were no foreign brands operating in the country, and everyone wore Mao jackets and rode a bicycle. The term "middle-class consumer" did not apply. People shopped at government-owned stores and street vendors. The GDP per person was about US$1,000. Thirty-five years later the picture has changed. Today, China has 160 cities with a population of more than 1 million, with the top 41 cities accounting for 50 percent of the country's GDP. In 2016, Shanghai and the two adjacent provinces, Jiangsu and Zhejiang, had a combined annual GDP of US$4.4 trillion--the same as Italy and Mexico combined. China has the largest middle class on Earth, with more than 225 million households in this category--and by 2020, China should see its number of millionaires soar to 2.3 million. As Chinese consumers earn more discretionary income, they want the quality, brand, convenience, and service associated with Western brands. They often buy goods and services at stores, restaurants, and service establishments that are franchises, thus many U.S. franchises help fill the needs of China's fast-growing middle class. This group is largely a young, upwardly mobile, and aspirational two-income family demographic with one child and considerable discretionary income. Today there are 5,299 KFCs, 2,200 McDonald's, 1,500 Pizza Huts, 590 Dairy Queens, 500 Subways, 170 Papa John's, and 105 Baskin-Robbins in China. And the GDP per capita is US$8,000. More than 12 million new cars are sold in China every year. The first McDonald's in China opened in Beijing in 1991. The company built, owned, and operated all of its restaurants in China until last year when McDonald's sold its locations in China and Hong Kong to franchisees. Yum! Brands spun off its China operations into Yum China Holdings, which is the exclusive licensee of Yum! Brands in China, which includes KFC, Taco Bell, and Pizza Hut. With more than 7,300 restaurants, Yum China generated sales of more than $8 billion, and its loyalty program has more than 127 million members. Pizza Hut in China is more of a full-service Italian restaurant than in other countries. All the food chains that are successful in China had to localize. In Pizza Hut China, you don't eat one type of food at a meal, you eat many different dishes. Starbucks has changed the country's thousands-of-years-old tea culture. There currently are about 2,000 Starbucks outlets across 100 Chinese cities. In shopping malls, office towers, and near tourist attractions, an empty Starbucks is hard to find. In the more developed, so-called first-tier cities, it's not unusual for a big department store to have more than one Starbucks in it, and they're all packed. White Castle opened two stores in Shanghai in 2017. In addition to its beef hamburgers, the menu includes a meatless spicy tofu burger made from mapo tofu, a Sichuanese classic, as well as a cherry duck slider made with smoked duck drenched in a cherry sauce. Dunkin' Donuts first tried to break into China in 1994. By the late 1990s, Dunkin's franchises had pulled out. Now they are back in Beijing, Shenyang, and Shanghai and hope to open more than 1,400 stores China over the next two decades. China's 2017 online retail sales approached $1 trillion, with the country's Singles Day shopping carnival in December totaling US$38.26 billion. Eighty-five percent of China's middle-income consumers have shopped online. In China's big cities, people seldom carry cash. Mobile payments are booming, with total transaction value topping US$5.5 trillion in 2016, triple the previous year, according to Beijing-based iResearch. By comparison, the U.S. mobile payments market increased by 39 percent to $112 billion last year, according to Forrester. There is no Facebook and no Google in China. They have WeChat and Alibaba. WeChat, a Chinese multi-purpose and social media portal with 980 million monthly active users, allows brands to send messages directly to users who follow them--a seemingly ideal tool for marketing and sales, since the brands maintain control of the sales process. Users buy directly from their online shops without leaving the app. Alibaba is an e-commerce, retail, and technology conglomerate that provides consumer-to-consumer, business-to-consumer, and business-to-business sales services through web portals, as well as electronic payment services, shopping search engines, and data-centric cloud computing services. Alibaba is the world's largest and most valuable retailer since April 2016, after it surpassed Walmart in 2015. Numerous opportunities exist for foreign franchise brands to enter China today. In addition to food and beverage brands, we are starting to see service franchises such as Right At Home and Home Instead Senior Care enter the country. 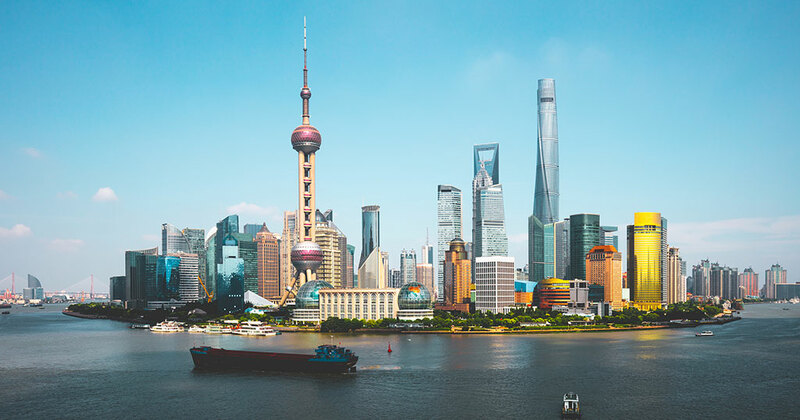 Below are the four very important major legal requirements for a foreign franchisor to franchise into China, according to Shelley Spandorf, an international licensing lawyer in Davis Wright Tremaine's Los Angeles office. The U.S. brand must have registered its trademark in China. The franchisor must satisfy the "2 + 1" requirement: either the entity that will award franchises in China or its subsidiary must have owned and operated at least two units under the franchise brand for at least one year. These units may be located outside of China. The franchisor must provide the prospective franchisee with a disclosure document at least 30 days before the franchisee executes the franchise agreement. The content is fairly comparable to the U.S. FDD. Within 15 days of signing its first franchising agreement in China, a franchisor must file as a franchisor with the Ministry of Commerce (MOFCOM). Within the first quarter of each year, the franchisor must file an annual report with MOFCOM noting the number of new franchise agreements signed and operating. While there are many opportunities for U.S. brands seeking to grow in China, obstacles remain. Local Chinese brands are growing in sophistication. Foreign franchises must be able to show they are unique and not just more of what is already in China. Intellectual property protection is uneven. The Chinese government is enforcing trademarks more than in the past, but there are still rip-offs operating. Local managers often lack strong management and business skills. A foreign franchise must have a very strong training program at multiple levels to ensure that the Chinese staff can fully deliver the brand experience to consumers. China has many markets. China is a very large country with diverse business cultures and even different languages. It is not common to award the entire country to one company that may not have local experience in another region of the country. William Edwards is CEO of Edwards Global Services (EGS). He first went to China in 1983 while working for a major U.S. oil and gas company. He has lived in both Mainland China and Hong Kong. From 1990-1992, he was the master licensee of AlphaGraphics in China. Subsequently he has helped several U.S. franchise brands enter China, and his company maintains an office in Beijing. Contact him at bedwards@edwardsglobal.com or 949-224-3896.